Home / News, Other Political News, Politics / How thieves accessed State House, Nairobi and stole a brand new Nissan Patrol V8 - UHURU and MARAGRET are no longer safe! How thieves accessed State House, Nairobi and stole a brand new Nissan Patrol V8 - UHURU and MARAGRET are no longer safe! 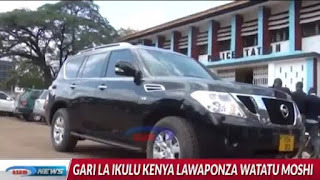 Thursday August 23, 2018 - Police in Tanzania are investigating two individuals who reportedly stole a high end car from State House, Nairobi. 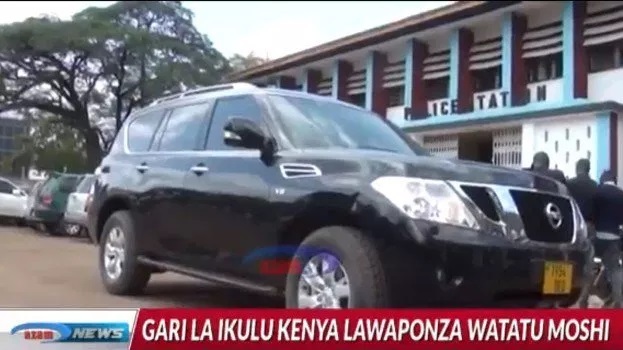 Addressing a Press Conference on Thursday, Kilimanjaro Province Assistant Commissioner of Police, Hamisi Issah, said the Nissan Patrol v8, registration number KCP 184 V, was nabbed with fake Tanzanian registration number T954 DEQ on its way to Kilimanjaro from Kenya. “It was nabbed at the Msomali barrier in Bomang’ombe," the police chief stated. “On further inquiry, we discovered that the vehicle was reported stolen on August 19," the police chief added. When contacted, State House spokesperson, Kanze Dena, refused to comment on the issue saying they are waiting for more information from Tanzanian police.